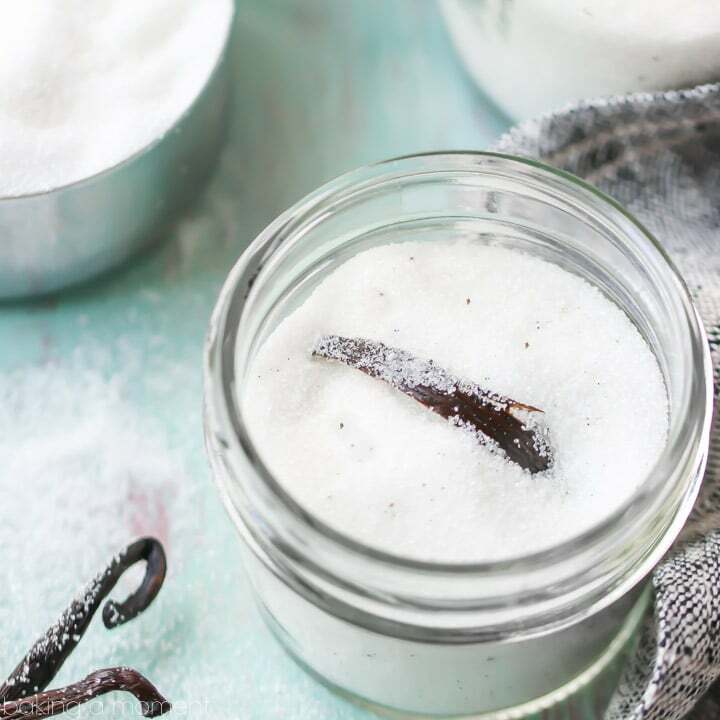 Vanilla sugar whips up in a snap and can be used in so many ways! Make a big batch & package it up in jars- it makes a great homemade gift! What can I say, I am ALL about the easy homemade gifts these days! Life somehow seems to speed up at this time of year, and I’m doing everything I can to slow it down so I can fully savor it! We’ve always got LOTS of people we want to show our appreciation to around the holidays, and homemade gifts are a great way to do it. Especially if they’re quick and easy to make, taste amazing, and can be enjoyed in lots of different ways! Vanilla sugar is a perfect example. I absolutely LOVE having a jar of vanilla sugar around. I stir it into my coffee or hot cocoa, sprinkle it on my hot cereal, and bake it up into all sorts of different recipes (like these vanilla bean scones or these homemade vanilla wafers). Anything that benefits from a little sweet vanilla flavor will be even better when made with vanilla sugar! 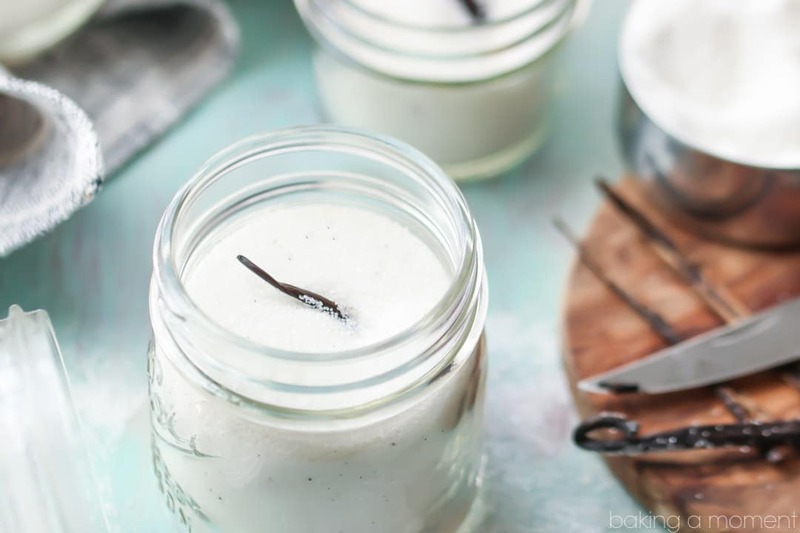 Remove the seeds from a vanilla bean with a sharp knife. If you want to be really fancy you can tie a gift tag on with some pretty ribbon. Seriously, the hardest thing about this vanilla sugar might be finding the vanilla beans. But even that’s not that bad! I ordered mine from Amazon (check out the link just below the recipe card) and they were magnificent. So plump, sticky, and aromatic! 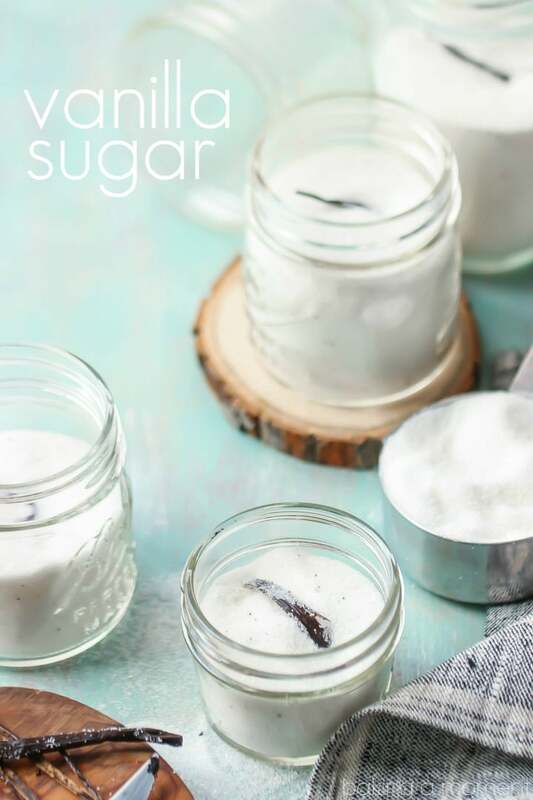 Whip up a big batch of vanilla sugar today, and have plenty of easy, last-minute gifts to give out this holiday season! Place the sugar in the bowl of a food processor. Split the vanilla beans lengthwise, and use the tip of a sharp knife to scrape out the seeds. Add the seeds to the food processor, and process the vanilla sugar until the seeds are evenly dispersed throughout. 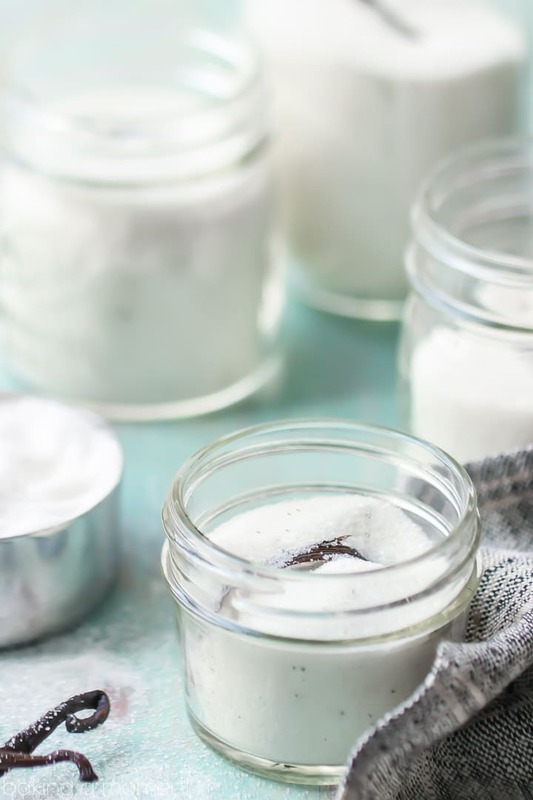 Transfer the vanilla sugar to jars. Cut the empty pods into 2 to 3 inch long pieces, and tuck them into the jars. More great homemade gift ideas on my “Homemade Gifts” Pinterest board! Hi Marsha! 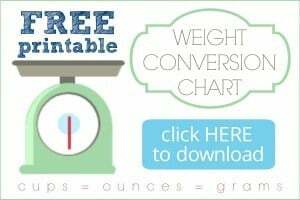 The link is below the recipe card, so you have to keep scrolling! After the Pinterest board, there are 4 Amazon links. The vanilla beans are the second to last one. Hope that’s helpful! How long does the vanilla sugar have to sit before it can be used for baking. Several days, weeks or right away? Hey Ruthann! It’s totally fine to use it right away! As long as regular sugar would.